I am giddy with excitement to announce an idea that’s been brewing for a while! One of my loveliest readers and friend Ute contacted me a few months ago wondering whether I’d be up for hosting a sewing/craft gift exchange based on the idea of Julklapp, which is a Scandinavian version of Secret Santa. We decided that the holidays would be pretty crazy, so we agreed that a Valentine’s-themed secret exchange would be spectacular. Thus, the Secret Valentine Exchange was born. It will be somewhat similar to the clothing swap that I participated in, but this time, we’re focusing on the grown-ups! The idea is simple. You sign up, then Ute and I will assign folks (Ute and I will also be included in the fun). You’ll get helpful information on the person who will be receiving a gift from you via a little questionnaire we’ve drafted, but your recipient will be in the dark in terms of your identity. We’re keeping things loose and easy, and the gifts need not be sewn, though we figure most of you will want to give your sewing machines a little workout. All that matters is that the gifts should be handmade. In the spirit of reduce/reuse/recycle, we ask that you use materials you already have on hand. We don’t want this to be an expensive project for anyone. International participants are welcome, naturally, and shipping costs were an issue we discussed. We’ll have some helpful hints about shipping once you sign up, but basically the gifts should fit into a big envelope. Ute and I are a little nervous — will anyone sign up? We think it would be such a fun and unconventional way to celebrate Valentine’s Day, and I for one LOVE to send and receive mail. I need to point out that Ute is the star here. Have you seen the gorgeous clothes and bags she’s sewn? In fact, she just won the Coletterie’s Cooper contest! Not only is she a sewing guru, she’s far more tech savvy than I am and she’s created the email account, an awesome Flickr pool, and was the mastermind for the idea — I’ve had a blast collaborating and brainstorming with her so far. For my part, I created little tags that we thought would be so cute to include as part of the gift exchange and a way to unify the theme. I made the tags heart-shaped that you can fold into an envelope, origami style. 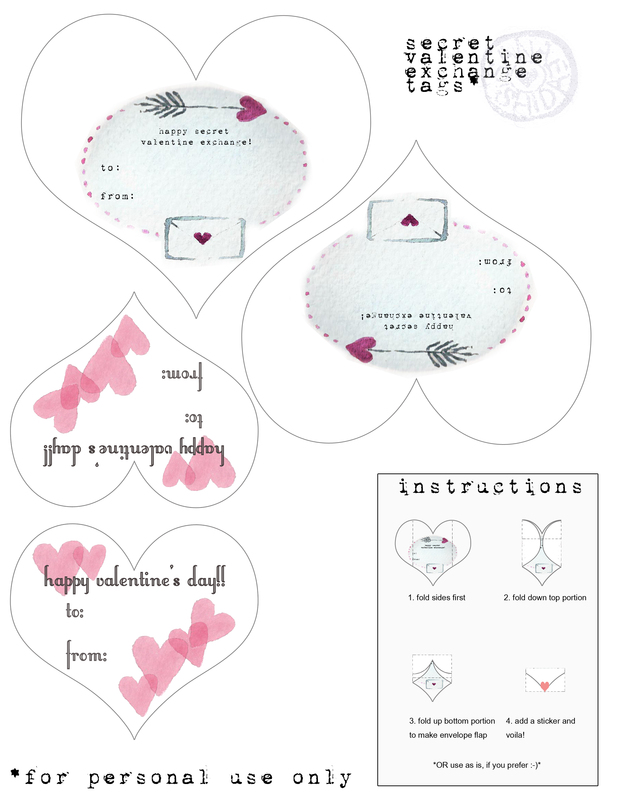 Instructions are included, and I’ve even tossed in a few versions that are generic tags that can be used for Valentine’s Day in general! They end up as tiny envelopes, so should you prefer your tags to have more surface area presence, you can use them without folding them up or enlarge them when printing. Oh, and another thing about the Flickr group – it’s open to the public, and if you decide the actual gift exchange is not for you at this time, feel free to sew/make along and post your own Valentine’s-inspired projects! 1. Click here to get the questionnaire. Please send the questionnaire with your answers to this email. Sign ups will be open until this Friday, January 17th. 2. We’ll take care of assignments and send out the Secret Valentine info to all participants by January 21st. 3. Make something fabulous and ship it by February 7 (if you’re shipping internationally, you might want to add a few extra days). Don’t forget to download the tags here! 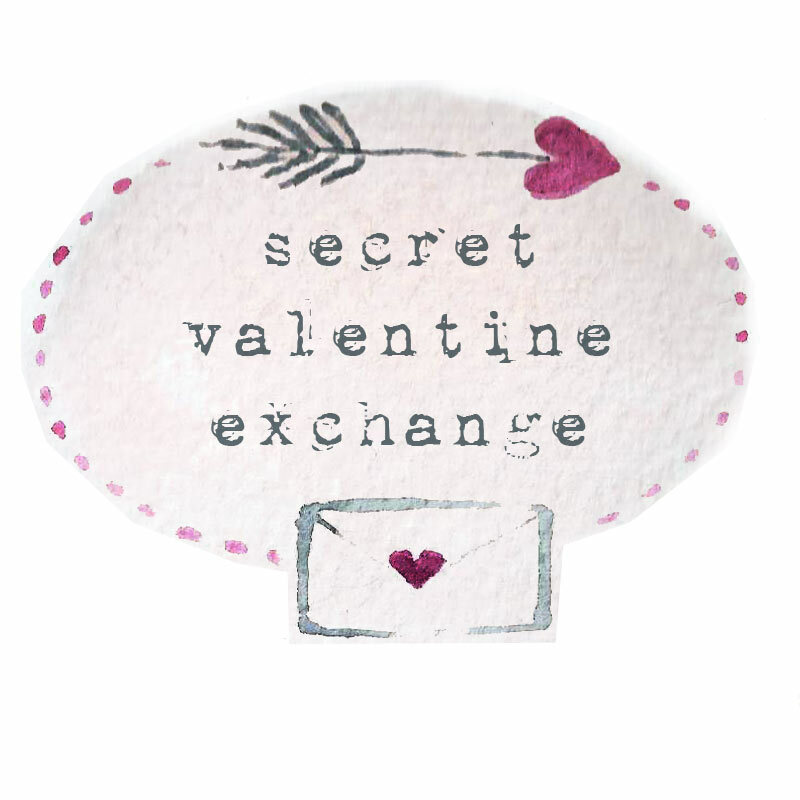 And we’d love it if you could upload your creation to the Secret Valentine Exchange Flickr account here. Shhh, don’t reveal who the gift is for though! Please feel free to contact me or Ute with any questions here in the comments section or at secret.valentine.exchange[at]gmail.com. So excited! I hope many of you will join in the fun! 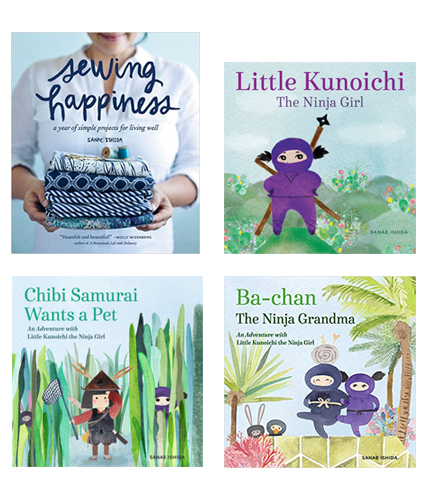 This blog and its international community of readers brings me a lot of joy! I have discovered so many wonderful blogs through this space and wanted to do something where all of us – with or without blog – could interact with each other and share! But Sanae, YOU are the real star! Thank you so much for playing along with my crazy idea, for providing this platform, for all your work and your beautiful illustrations. I’m so glad you came up with this idea, Ute – it’s going to be fabulous!! What a fun idea! 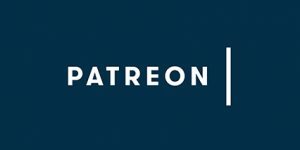 I haven’t clicked on the questionnaire link yet, so perhaps my question is addressed there, but if not, do you need to have a blog to sign up? I know that was necessary for the Handmade Kids clothing swap, and didn’t know if this was the same. Thanks! Nope, not necessary to have a blog! I’ll add that into the body of the post. Thanks for pointing that out, Lucinda! Sounds like fun! Just sent it out. Fantastic – so happy you’re joining in Shelley!! What a fun idea. I’m excited and nervous about it at the same time. I sent off my questionnaire tonight. Excellent, so glad you signed up, Dagny! I totally understand the nervous feeling because I always worry people might not like what I make, but it will definitely be fun!! I’m thrilled to join in, but as others have mentioned, I feel a little nervous too. I’ve never had anything I’ve sewed scrutinized in a public forum (i.e. outside of my friends and family). Well…this is me throwing caution to the wind! Woohoo! Just sent you an email, Jillian! Aww! Have fun doing this! I will have to join in next time. Any chance you could publish a list of people’s blogs or Flickr accounts, similar to a link up party, so that when valentines day comes around I can multiple my delight by about 40X through the vicarious pleasure of seeing what everyone else got. I’ve always found it to be as much fun watching other people unwrap gifts (virtually in this case I guess) as it is receiving a gift myself. I can’t wait for the 14th so I can crow about how I think my gift should be perfectly suited to my recipient. – and via the internet she’ll have time to compose her face and say something polite if it isn’t so well suited after all.